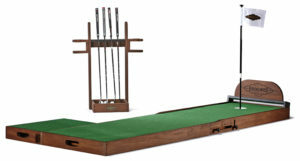 2' Wide x 8' Long. 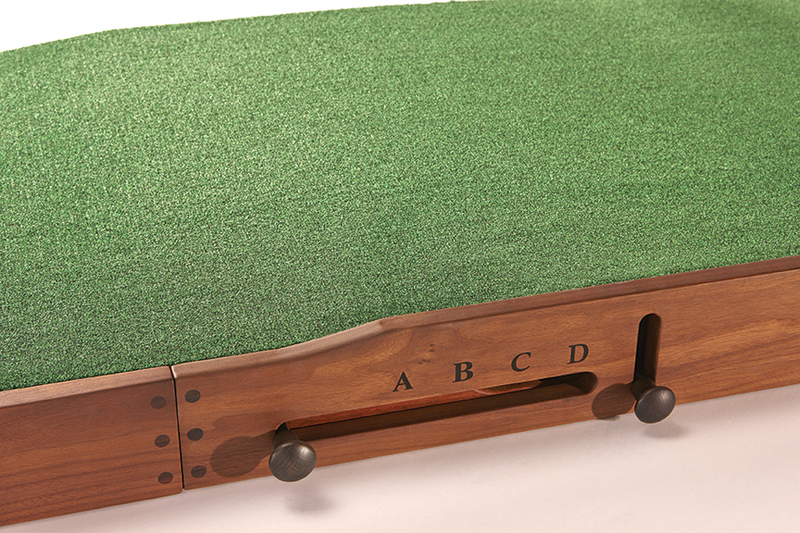 Available in Walnut, Espresso and Natural finishes. 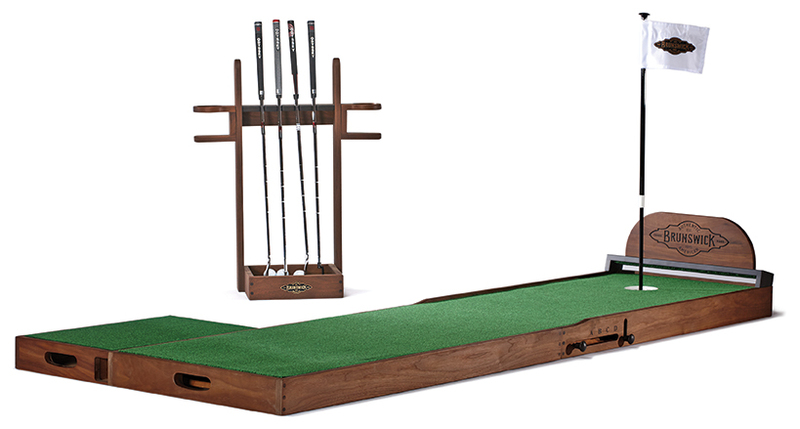 If you want to make a bold statement on the course, but only have limited space to practice at home, then the Ross is the perfect choice. 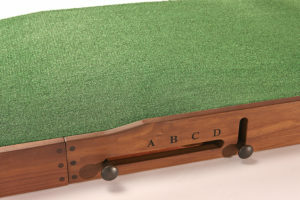 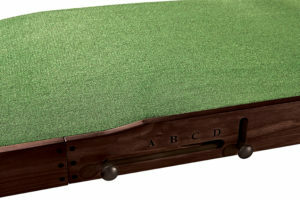 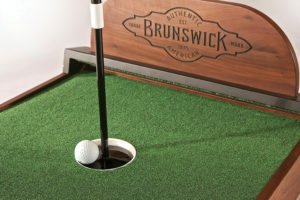 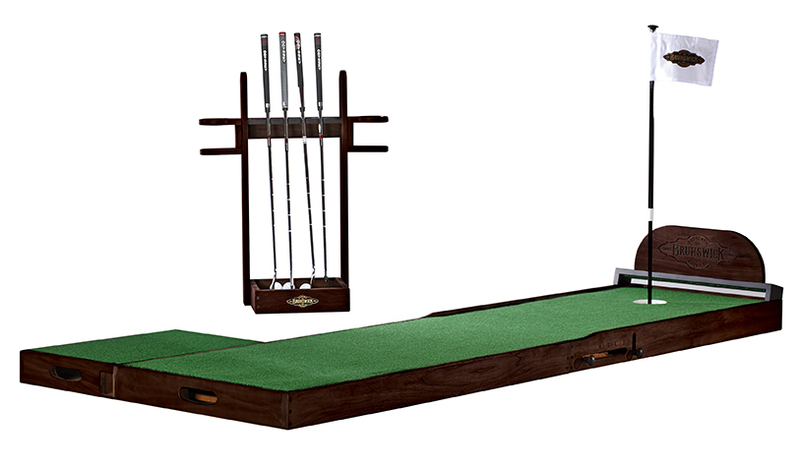 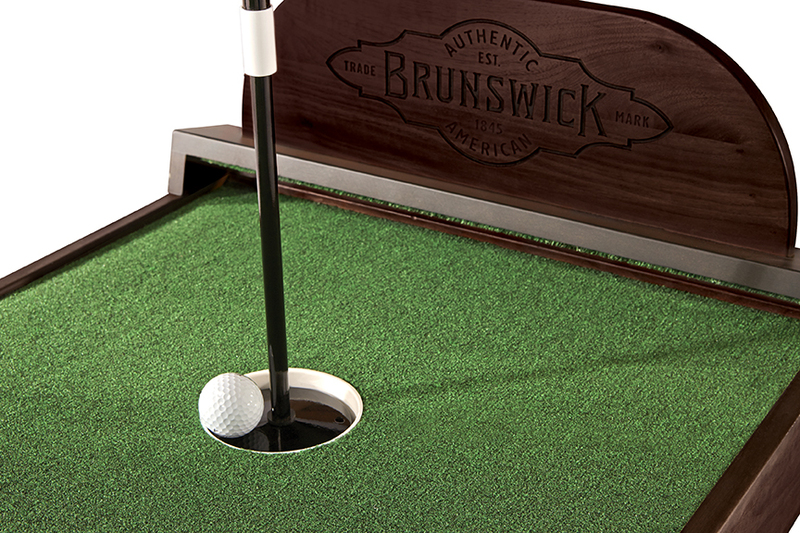 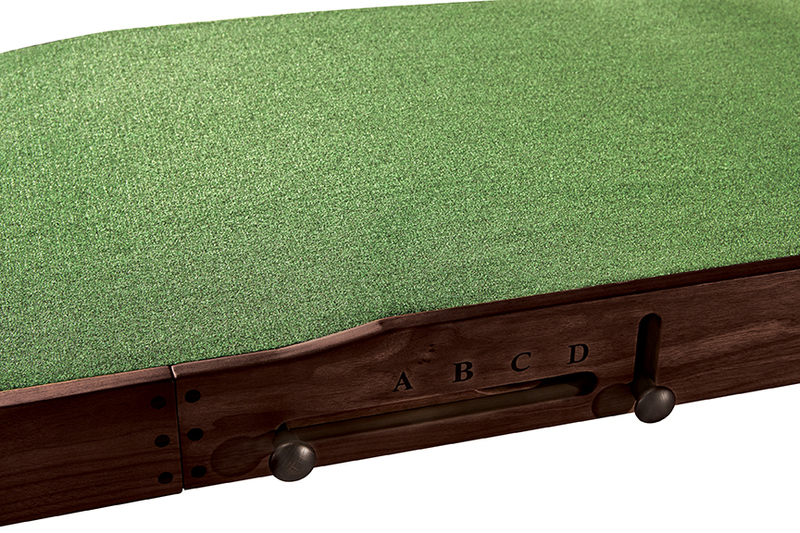 Named after the famous golf course architect Donald Ross, this green measures 2 feet wide by 8 feet long and includes 2 break stations – 1 on each side, for up to 50 different break combinations. 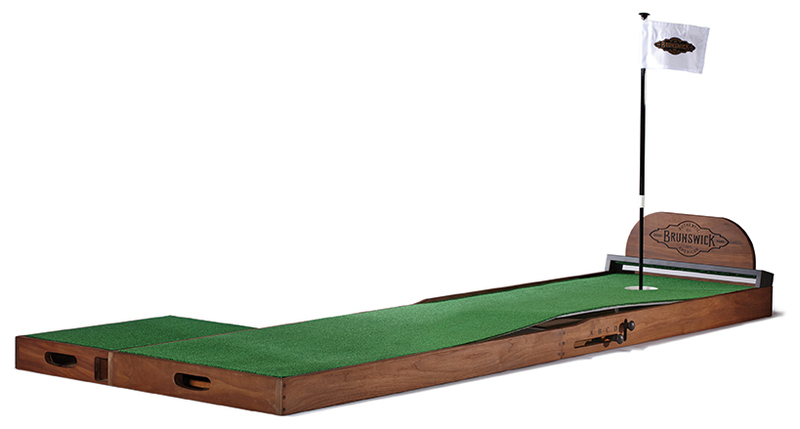 It can also be easily elevated on one end to practice those uphill putts that can make or break your game.